Calling all women! Join us for a time of fellowship and encouragement as we kick off another year of Women’s Bible study on Saturday, August 25, at 10:00 a.m. in the Fellowship Hall. 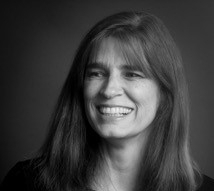 Claudia Johnson will speak on "Pursuing a Deeper Relationship with Jesus." Brunch will be served ($10, payable at the door). Child care is available. Please register today using the form below! Do you need child care? Please provide names and ages.